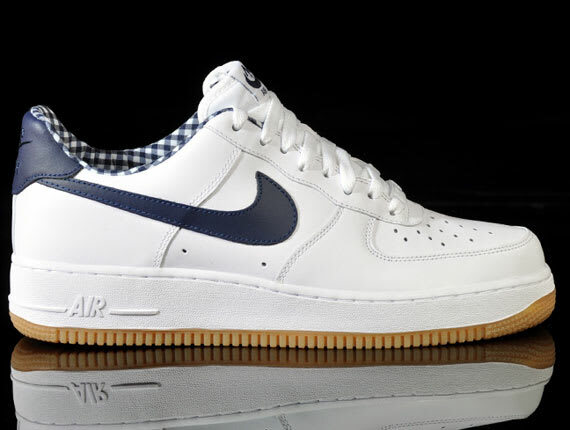 Nike Air Force 1 Low "White/Midnight Navy - Gingham"
Ready for some more gingham print? Nike is, as the pattern of spring is found strategically placed on the lining of this classic Air Force 1 Low. The low-top go implements midnight navy as the accenting shade, while a gum outsole has been chosen to round out the beautiful silhouette (kind of like the highs we showed you last week). Definitely one of the sharpest 1s we&apos;ve seen in a while, so check out Schuh-You to purchase for $127.